The pre-race preparation and build-up was supposed to be perfect, as I had 3 weeks in Chamonix with Christiaan to relax and train on the course. However, two and a half weeks ago, I fell badly on my shin on a very wet rock and had to get stitches. I was under the impression that it was heeling very well, but after the stitches were removed, the wound opened up again due to secondary infection underneath the skin and that has prohibited the heeling process. But after many visits to the doctors, pharmacists and to Arnaud (Team Salomon Physio and all-round guru), I have been given the go ahead to toe the line tomorrow. Obviously with mixed feelings and emotions, I have decided that I want to give it my best shot. This last 18 days has been a rollercoaster of emotions, and I have learnt so much about myself and life’s many challenges. I realized that the only option is to surrender totally and trust God entirely. He has my back and will get through this with His Strength. So regardless of what happens tomorrow, I am looking forward to run my heart out on one of the most beautiful courses around the mountains of Mont Blanc and Chamonix amongst some of the world’s best athletes! 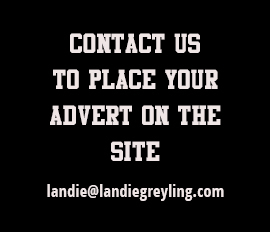 Hi Landie, All the best for tomorrow! Your preparation was not ideal but I’m sure those special mountains will give you lots of energy. When it will become hard, look around and enjoy being in such wonderful envirorment. That’s the reason why we do trail running, those moments are so special and bring so much. Enjoy yourself and no regret!